The Summer Olympics kicked off in London on Friday, so it’s time for Fly the Branded Skies to celebrate the true meaning of the Olympic spirit: corporate sponsorship. Here’s what some of the airlines sponsoring the games are up to. I’ll update this post as I find more. British Airways spent £40 million to be the official airline of London 2012, and their Olympic campaign launched more than a year ago. It began last May with “They Will Fly,” a predominantly print campaign featuring British athletes sponsored by BA. Meanwhile, the carrier launched BA Great Britons, a contest to find three talented Britons to create a menu for the airline, write a film to be shown aboard its planes, and design a special livery to celebrate the Olympics. 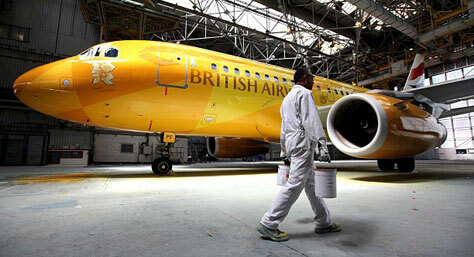 Pascal Anson designed the winning livery, “Dove,” which was painted on nine British Airways A319s. British Airways commissioned another special livery, “Firelfy,” pictured at the top of this post. 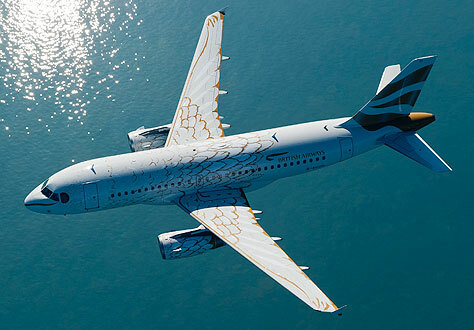 This livery was used on the plane that actually carried the Olympic torch to the U.K. Although British Airways initially swore off television spending, that changed earlier this year with “The Race,” a charming Olympic-themed TV spot first shown on Facebook. In the most recent phase of its Olympics advertising, “Home Advantage,” British Airways has launched a campaign ostensibly aimed at getting Britons to stay put. United Airlines aired a new television spot during the opening ceremony, which I think might be mcgarrybowen’s first major TV for the brand. This first spot, it must be said, is a bit dull—it blends in to all the other Olympic manifesto spots on the air right now. The second spot (for some reason United has prohibited embedding) is more interesting, although it feels like a colour version of a Delta commercial. United has also been running an out-of-home campaign in New York (here is an example; every execution uses the same headline) and has an Olympics-themed trivia game on its Web site. Qantas has a dark, bizarrely unbranded commercial for the Olympics, featuring its new Atlas theme music. 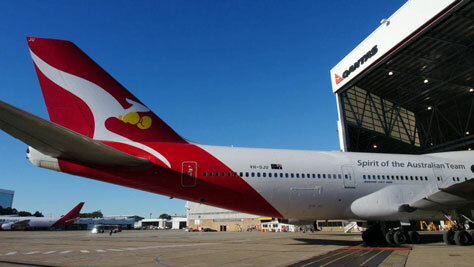 They also introduced a special livery for the Olympics, giving the flying kangaroo a set of boxing gloves. Emirates is not an official Olympic sponsor, but they did spend £36 million to sponsor the Emirates Air Line, a gondola over the Thames in London that happens to link two Olympic venues (at least, when it’s working.) Surely the timing is not coincidental.